Bad news ahead for Wii U owners who were looking forward to the upcoming director's cut of Deus Ex: Human Revolution—the game will cost $50 on Wii U, even though it's $30 on other platforms. 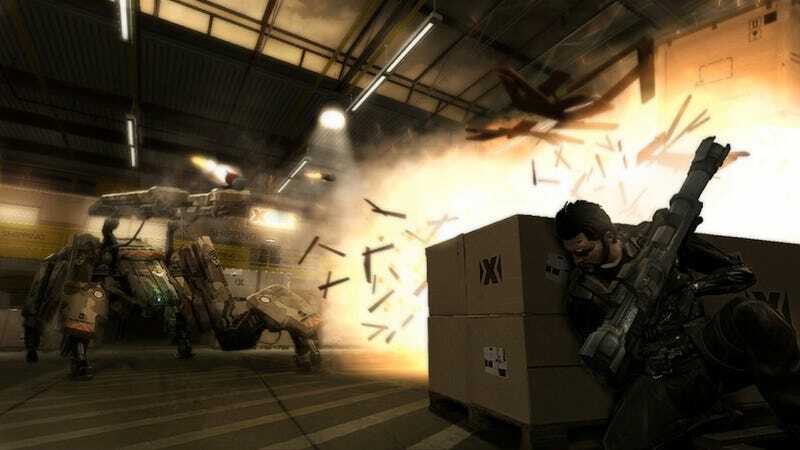 Deus Ex: Human Revolution - Director's Cut, which will be out on October 22 for Wii U, Xbox 360, PS3, and PC, is a re-release of the 2011 shooter-RPG with a few new accessories, like new boss fights, better AI, and director's commentary, among other things. The game was originally announced as a Wii U exclusive with some touchpad-friendly features, but publisher Square Enix later revealed that the game will be on other platforms as well, and that many of those touchscreen add-ons will also be available for SmartGlass (on Xbox 360) and Vita (on PS3). Today, we've learned that the game will be cheaper on other platforms, too. “This is the first time Deus Ex is available on the Wii U," Square Enix said in a statement to Kotaku when we asked about the discrepancy. "We have an extensive feature set which makes full use of the Wii U GamePad, plus we were able to add exclusive features to the Wii U version which we think Nintendo fans will appreciate and truly immerse them into the world of Deus Ex like never before." Poor Wii U owners. First we find out that the cool-looking exclusive Deus Ex re-release isn't all that exclusive, and now we find out that it's more expensive, too. Granted, you can't get the original game on Wii U like you can on other platforms, but this still feels like something of a slap in the face to the Wii U owners who were excited for this release. Here's a press release I dug up from March: "Montréal (March 20, 2013) – Eidos Montréal®, a Square Enix® studio, today announced the Director’s Cut of DEUS EX: HUMAN REVOLUTION®, the definitive version of the critically acclaimed action-RPG title, is coming soon exclusively to Nintendo’s Wii U™ system." Maybe what they really meant was "coming soon exclusively at $50 to Nintendo's Wii U™ system"?